The Ospreys have signed versatile five-times-capped Fijian back Aisea Natoga ahead of the 2013-14 season. Natoga, 22, can play centre, wing or full-back and he joins Canadian Jeff Hassler as a new wing option. However, the Ospreys must wait for the Home Office to approve Notaga’s visa application before he can join them. “He adds another edge to our backline and gives us depth in key positions that we didn’t have last season,” said team manager Andy Lloyd. “Although he’s played sevens rugby he isn’t just a stereotypical sidestepping sevens player, he has physicality and power which makes him a very dangerous player. “He’s versatile and positionally he has good awareness of what is happening around him. 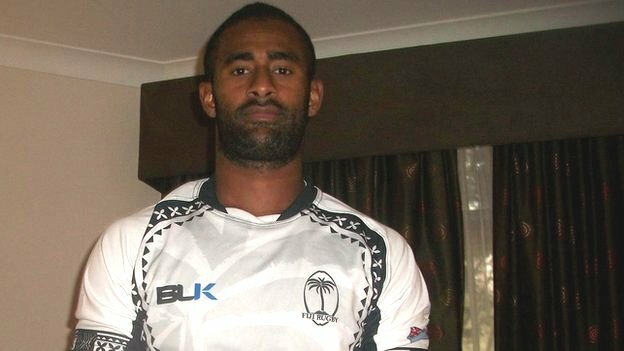 Natoga joins from Nadroga in the Digicel Cup in Fiji, having played the first of five Tests in 2012. He has also played for Fiji Warriors, a team made up of home-based players, to compete in the Pacific Rugby Cup against A teams from the other Pacific rugby nations. One Response to "Pro12: Ospreys sign Fijian wing Natoga"
good luck partner…show them the kai Tuva power.